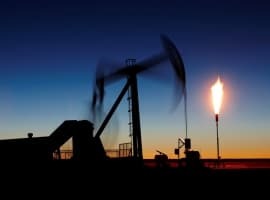 Oil prices gained on Monday and Tuesday as both traders and analysts see crude markets tightening as a result of OPEC output cuts. • The collapse of oil prices in 2014 provided a windfall for the airline industry, with industry-wide profits rising to $25.6 billion in 2015, up from $7.5 billion in 2014. • Fuel costs fell by $16.5 billion over that timeframe. • The profits and fuel savings have allowed airlines to upgrade their fleets, procuring new aircraft in the past few years. • Statoil’s (NYSE: STO) Troll field will be added to calculations for the Brent crude benchmark. The Brent benchmark is priced based on physical oil from the Brent field, plus three other fields – Forties, Oseberg and Ekofisk. However, with those fields depleting, S&P Global Platts said it will include the Troll field in the mix. • Gastar Exploration (NYSEMKT: GST) saw its share price shoot up more than 10 percent after it secured $425 million in new financing. Gastar is a small shale player in the STACK play in Oklahoma. • Enbridge (NYSE: ENB) announced in its quarterly results that it was spending $1.7 billion to take a 50 percent stake in an offshore wind farm in the North Sea with nearly 500 MW of capacity. Oil prices moved up on Tuesday on hopes that the market is tightening. OPEC says its cuts are working and hedge funds are still bullish on crude, but pitfalls remain. $30 oil possible if OPEC doesn’t extend deal. The OPEC deal called for cuts of 1.2 mb/d over the course of six months. If the deal is not extended until at least the end of the year, oil prices could fall back into the $30s, according to ABN Amro Bank NV. The “downside risk has become much bigger than previously,” Hans van Cleef, ABN Amro’s senior energy economist, told Bloomberg. Saudi Aramco prefers western stock exchange. The Wall Street Journal reported that Saudi Arabia is leaning towards a western stock exchange when it lists its state-owned oil company. The plan is a partial IPO of about 5 percent of the company, which could allow the kingdom to take in more than $100 billion. Saudi officials looked at exchanges around the world but decided against one in Asia. Now officials are looking at New York, London and Toronto, with New York as the leading candidate. The IPO could be the largest ever. 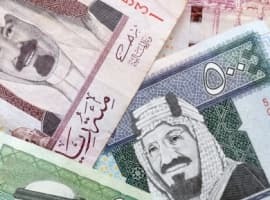 However, because the company is state-owned, it will be difficult to disentangle its finances from the Saudi government. Roughly 90 percent of Aramco’s profits go into government coffers and the royal family certainly takes its share as well. Only about 10 percent of the profits are reinvested in the company. The complexity of this situation is likely to push the IPO off until late 2018 at the earliest, or more likely 2019, the WSJ says. ExxonMobil set to write off oil sands. ExxonMobil (NYSE: XOM) is days away from writing off 3.6 billion barrels of Canadian oil sands assets. Exxon has been notorious for refusing to take write downs, a practice that attracted the attention of the SEC and the NY attorney general. But now the oil major is acknowledging that the oil sands are no longer profitable to produce and the company could issue a disclosure next week. But Exxon will likely emphasize the fact that the oil sands could be profitable again if oil prices rise. Longer-term, however, the chances are rising that oil sands will be left in the ground because of stricter environmental rules. “For a lot of reasons the oil sands look like a prime candidate for eventual abandonment,” Jim Krane, an energy fellow at Rice University’s Baker Institute, told the WSJ. “One problem is that costs are persistently higher. The high carbon content only makes it worse.” On top of that, suddenly the market is talking about “peak demand,” the notion that the world will see consumption top off in the near- to medium-term, which could keep oil prices low enough that oil sands, and many other assets, are no longer profitable. Related: Can Canada’s ‘Gas City' Replicate Qatar’s Success? 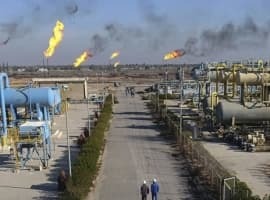 Saudi cuts make Russia largest oil producer. Russia produced 10.49 million barrels of oil per day in December, and Saudi Arabia produced just under that amount at 10.46 mb/d as it started to throttle back on output. That makes Russia the largest oil producer in the world right now. In January, Saudi Arabia took production below 10 mb/d in order to meet its obligations under the OPEC deal. Trump administration to assault environmental rules. With his EPA chief in place, the Trump administration is gearing up for an attack on federal environmental regulations. One of the top priorities will be the EPA’s limits on greenhouse gas emissions, a core part of the Obama administration’s climate campaign. However, the regulations cannot be undone by a simple executive order, they must be taken apart by an official rule, which takes time to formulate. Still, the EPA is set to signal a coming wave of deregulation in an effort to prioritize fossil fuel production. It is important to note that scrapping climate regulations is not a clear win for natural gas producers, who were set to benefit from the displacement of coal. In fact, President Obama’s climate campaign hinged quite a bit on natural gas as the largest source of electricity in the U.S. How this shakes out is unclear at the moment, but gas and renewables are still expected to win in the marketplace.